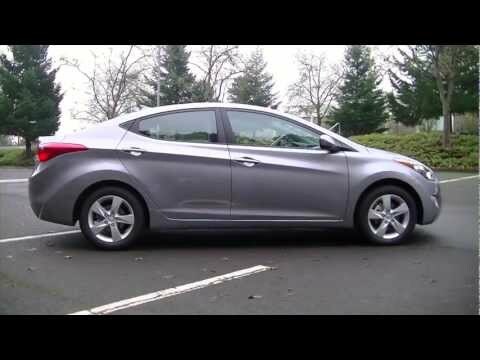 The Hyundai Elantra is a stylistic powerhouse and represents a strong value for the compact category. Handling refinement remains a weak point but for those who want a modestly priced sedan that seats five comfortably and imparts a sense of pride for its owner, the Elantra is a slam dunk. I would not recommend it to anyone unless they want a cheap car that they don't plan on having for many years. My car is only 6 years old but I have had many (smaller) issues with it in the last about three years. I have had to replace many parts, the controls started acting funny when it was only about 3 years old and I was told I would need to replace the entire electrical system in the car to fix the issues. There are other mechanical parts I have replaced one or more times. The car gets me from A to B but it definitely isn't made like my older car I had before it. It will not last for years to come without putting a lot of money into the car, which it was only a cheaper to average car to start with. I also had to recently put two carseats in the back of it and although they fit fine, there is room for nothing else. Just to fit a jogging stroller in the trunk or car is a tetris puzzle. If a car seat is rear facing and is not able to be in the middle seat (such as having two carseats in the back), the person riding in front of the rear facing car seat does not have a lot of legroom. It is reliable and spacious. So far I didn't have any major problems with my elantra, I do regular oil changes. I love my car because it drives very smooth and it is very reliable. I changed the tires on it for brand new tires and it drives very well on snowy roads. Even though it is not a four wheel drive, it is very reliable during winter and I feel safe driving it in the snowy and icy roads. My car is also very spacious. My husband and I are both tall and we love that my car is high enough not to hit our heads on the roof when driving over a bump. Also it has plenty of legroom in the front and back, even when the driver's seat is moved all the back. When we take family trips we can easily fit 2 toddler car seats in the back and fit a 3rd passenger between the car seats. The trunk is very spacious as well, we can fit our entire week worth of groceries and two full size strollers. It does gets cramped up on long rides, over an hr. I love the features of my car because I am a busy mom. The leather seats are easy to clean. The GPS helps my get to places without worrying where I am going. And the sunroof makes a nice addition when my kids and I are singing along to songs and the wind in our hair as we drive to the beaches. The Bluetooth connection allows for my phone to sync with my car each time I enter it, which means I do not miss an important call or when my family calls. I just talk straight to the speaker that is right above my seat. I also enjoy the keyless entry and push to start buttons. I don't have to fumble to get my keys while I am getting the kids in and out of the car. I can Focus on them and make sure they don't run into passing cars or just putting on their seat belts before I drive. Hyundai Motor Company is recalling certain model year 2011-2013 Elantra vehicles manufactured from November 12, 2010, through March 5, 2013. A support bracket attached to the headliner may become displaced during a side curtain airbag deployment. If the headliner support bracket makes contact with an occupant during a crash, it may cause a laceration injury. Hyundai will notify owners, and dealers will apply adhesive strips to the headliner, free of charge. The safety recall began during April 2013. Owners may contact Hyundai at 1-800-633-5151. Hyundai's recall campaign number is 109. Hyundai Motor America (Hyundai) is recalling certain model year 2011-2012 Elantra vehicles manufactured October 29, 2010, to October 25, 2011. Due to an electronic stability control (ESC) sensor malfunction, the brakes for one or more wheels may be applied unexpectedly and the engine power may be reduced. These symptoms will be accompanied by illumination of the ESC indicator lamp in the instrument cluster. If the one or more of the brakes are inappropriately applied, control of the vehicle may be lost, increasing the risk of a crash. Hyundai will notify owners, and dealers will verify the proper operation of the ESC sensors, and update the ESC system's calibration, free of charge. The recall is expected to begin February 19, 2016. Owners may contact Hyundai customer service at 1-800-633-5151. Hyundai's number for this recall is 137.